NEW DELHI, India -- The number of wild tigers has been revised to 3,890, based on the best available data, said WWF and the Global Tiger Forum (GTF) ahead of a major tiger conservation meeting tomorrow in New Delhi to be opened by India’s Prime Minister Narendra Modi. 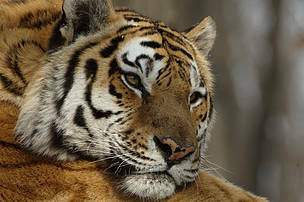 This updated minimum figure, compiled from IUCN data and the latest national tiger surveys, indicates an increase on the 2010 estimate of ‘as few as 3,200’, and can be attributed to multiple factors including increases in tiger populations in India, Russia, Nepal and Bhutan, improved surveys and enhanced protection. “For the first time after decades of constant decline, tiger numbers are on the rise. This offers us great hope and shows that we can save species and their habitats when governments, local communities and conservationists work together,” said Marco Lambertini, Director General of WWF International. The meeting of tiger range governments at the 3rd Asia Ministerial Conference on Tiger Conservation this week is the latest step in the Global Tiger Initiative process that began with the 2010 Tiger Summit in Russia. 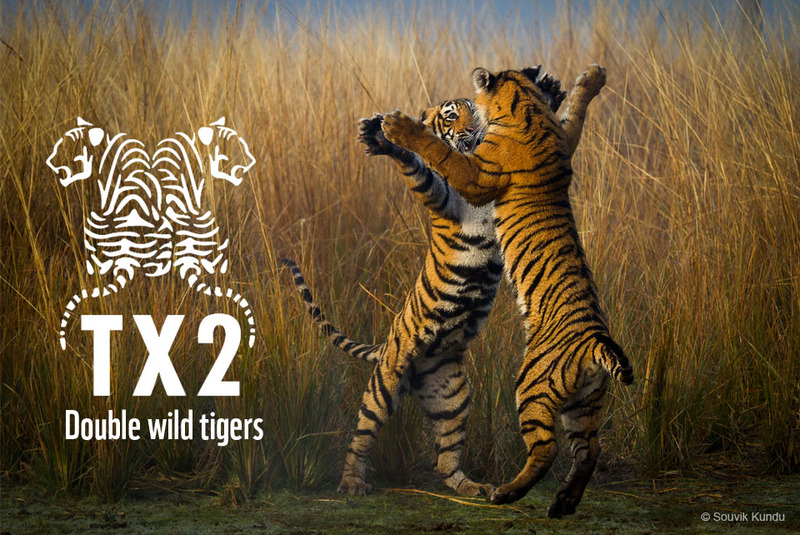 Governments at that meeting agreed to the Tx2 goal to double wild tiger numbers by 2022. Over the three day meeting, countries will report on their progress toward the Tx2 goal and commit to next steps. Prime Minister Modi will address the conference on the essential role tigers play as a symbol of a country’s ecological well-being. 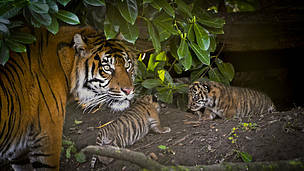 Tigers are classified as endangered by the IUCN Red List of Threatened Species, threatened by poaching and habitat loss. Statistics from TRAFFIC, the wildlife trade monitoring network, show that a minimum of 1,590 tigers were seized by law enforcement officials between January 2000 and April 2014, feeding a multi-billion dollar illegal wildlife trade. In order for countries to protect their tigers, it is essential that they know their tiger populations and the threats they face. 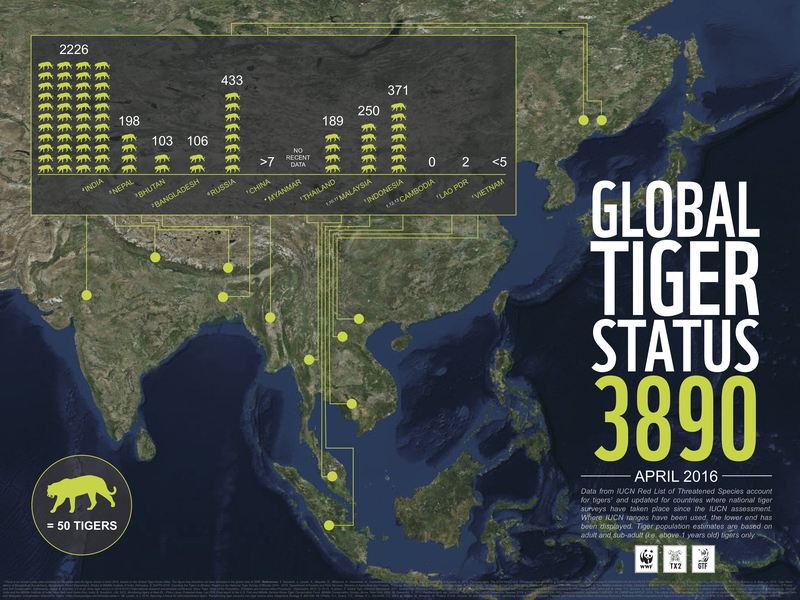 In 2014, tiger range governments agreed to announce a new global tiger estimate by 2016, based on full, systematic national surveys. However, not all countries have completed or published these surveys. 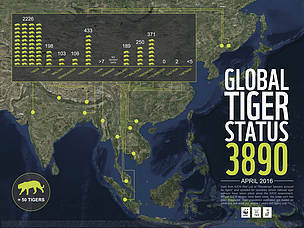 The new minimum estimate of close to 3,900 tigers is based on the IUCN Red List of Threatened Species account for tigers, updated for countries where national tiger surveys have taken place since the IUCN assessment. WWF and the GTF commend the tiger range countries that have updated their population figures since 2010 and encourage the remaining countries to complete and publish their population surveys as soon as possible.